The Burning is Frear’s first film. The film is set on the first day of a revolution in South Africa; a white South African sets out with her grandson, cook and chauffeur for her weekly visit to her sister’s farm. Unaware that an uprising is taking place she picnics calmly on a hilltop whilst horrific events take place below. A single topic issue of cine-magazine “Mining Review”, which explores the role of women in the coal industry though a male chauvinist lens. The film takes a look at beauty queens, and female engineers along with an “appreciation” of the women’s team at Grimethorpe Football Club. In quasi-documentary style Peter Watkins reconstructs the story of the 1956 Hungarian uprising, on the streets of Cantebury. The uprising began as a student demonstration against the government of the People’s Republic of Hungary and grew to attract thousands, who marched through central Budapest towards the parliament building. Watkins considers what might have happend if the uprising had been successful and asks the question: What would the oppressed do in the shoes of the oppressors? 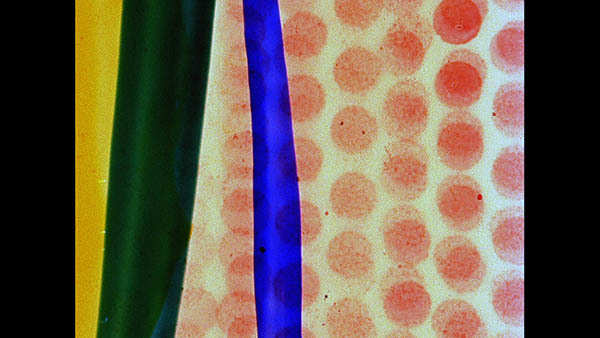 A Colour Box is the first known film in which Len Lye, know as the innovator in direct film making, created animation by painting directly on to celluloid film stock. Produced for the GPO Film Unit to advertise the postal system, the film’s bright abstract forms are soundtracked to popular Cuban music. The film, a spectacle at a time when colour film experimentation was still in its infancy, gained wide theatrical release. This short documentary looks into the architecture and construction techniques of buildings of the South Bank site. The film was produced during the Festival of Britain, a post war national exhibition held in 1951 which aimed to promote recovery and British developments in science, technology, industrial design, architecture and the arts.